‘Turner Piece’ and ‘Metro’ ARE FROM THE INTERPRETATIONS OF SHEET MUSIC BODY OF WORKS AND ARE, LITERALLY, TURNING SHEET MUSIC INTO SHEET MUSIC. ‘Turner Piece’ and ‘Metro’are commissioned by Sound And Music‘s ‘Embedded’ scheme, for the Apartment House ensemble, directed by Anton Lukoszevieze. 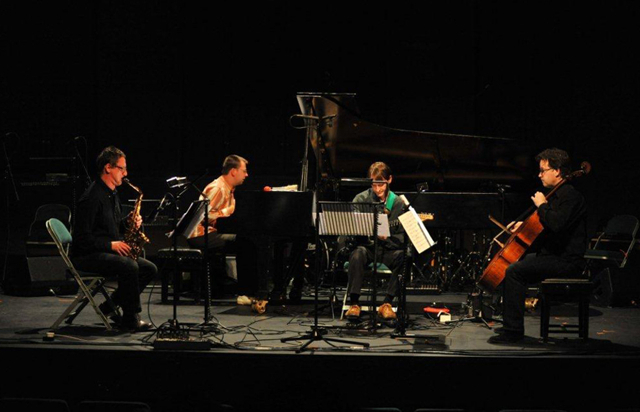 Apartment House ensemble performing ‘Turner Piece’ in Cafe Oto, London, October 2015. Monumental landscapes and their micro textures. Impressionistic distant views by Turner, with a few miniature details. The waving of a reed bed with the tiny rustling of dried flower heads. This microtonal delicateness is generated by the rustling paper sounds of turning the pages of the score. Sitting in a full carriage in the London underground at rush hour. No one speaks. People are reading their free newspaper. 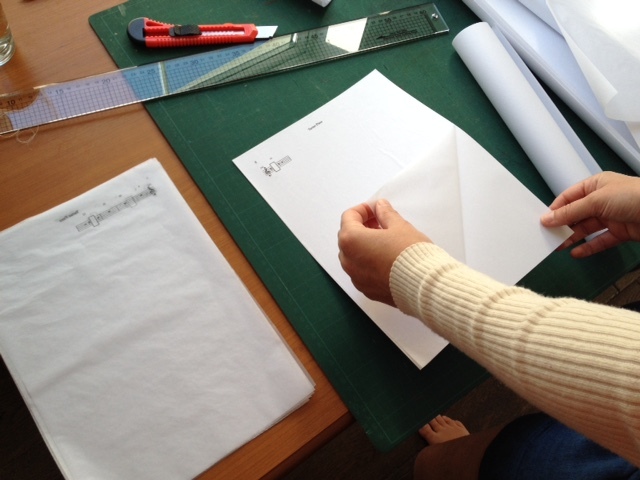 This setting is the inspiration of working with paper page turning. Its wonderful fluttering sound in the abstract geometrical phasing in and out sounds of the metro. Some read casually, some are absorbed. Some take sensational stories to heart, some don’t. All in the rectangular space of the underground rhythms. 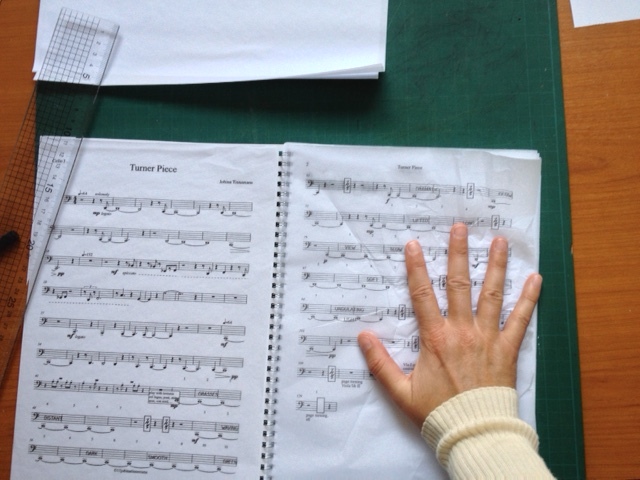 Turner Piece, the new work by composer Jobina Tinnemans will première in Cafe OTO, London on Thursday 22nd October along with two other works by Tinnemans, all performed by the acclaimed Apartment House ensemble and featuring soprano Loré Lixenberg. Ticket prices are £10 on the door, £8 in advance and £6 for Cafe OTO members. Advance tickets can be ordered here..
“Turner Piece is a unique and fascinating work, which continues Tinnemans’ trademark of using non-musical ‘instruments’ as part of her compositions. In this piece, the turning of the musical scores followed by the performers actually makes up part of the soundscape she creates. Usually the turning of pages in a classical piece is kept quiet but Tinnemans embraces this sound as part of the piece itself. 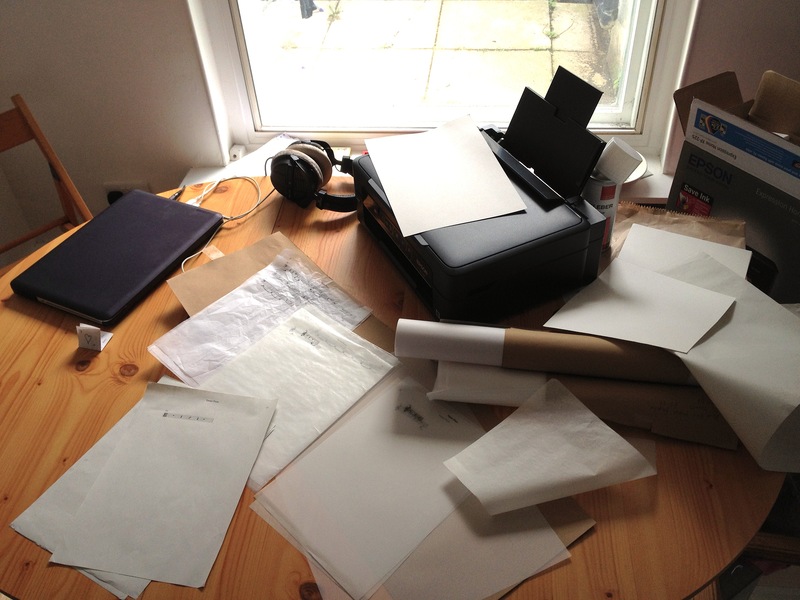 The scores are printed on different types of paper to create a multitude of aural textures, some musicians will be working from tissue paper, some from brown paper and some from newspaper. This creates a musical work where impressionistic landscape sceneries of dry grasses in the wind and gentle murmuring shore sea waves are translated and performed by the rustling sounds of the score’s page turning. And because it’s about wide landscapes, she has arranged the Apartment House ensemble into two sub-ensembles, Left and Right, to create a live, organic stereo effect. Turner Piece is a Sound And Music ‘Embedded’ commission for the 20th jubilee of the Apartment House ensemble, directed by Anton Lukoszevieze.”. Apartment House @20 are go! 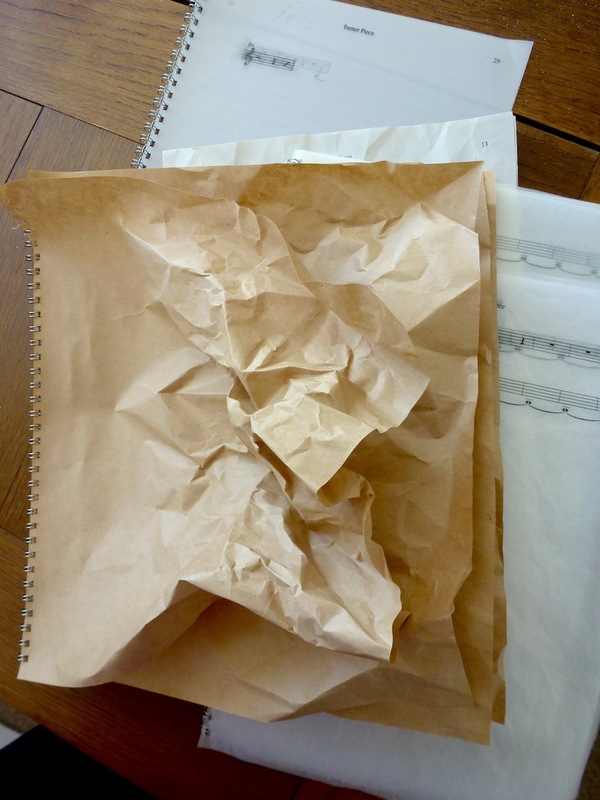 Three works from my Apartment House ‘Embedded’ commission will premiere in Cafe Oto on October 22nd. After a long period of quietly working away, three new pieces, commissioned by Sound And Music ‘Embedded’ for Apartment House, will have their premiere on October 22 in Café Oto in London. More info in due time. Very happy me. 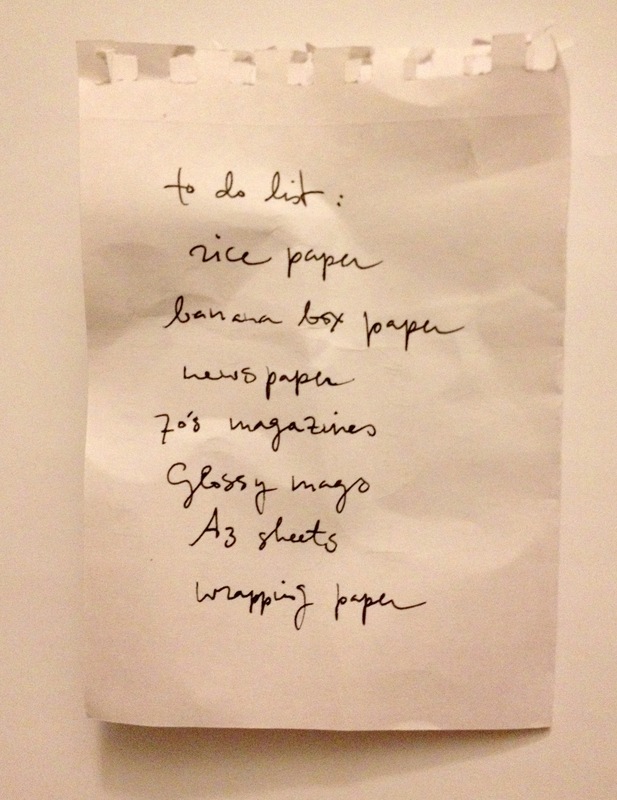 I’m working on a composition for paper and strings. 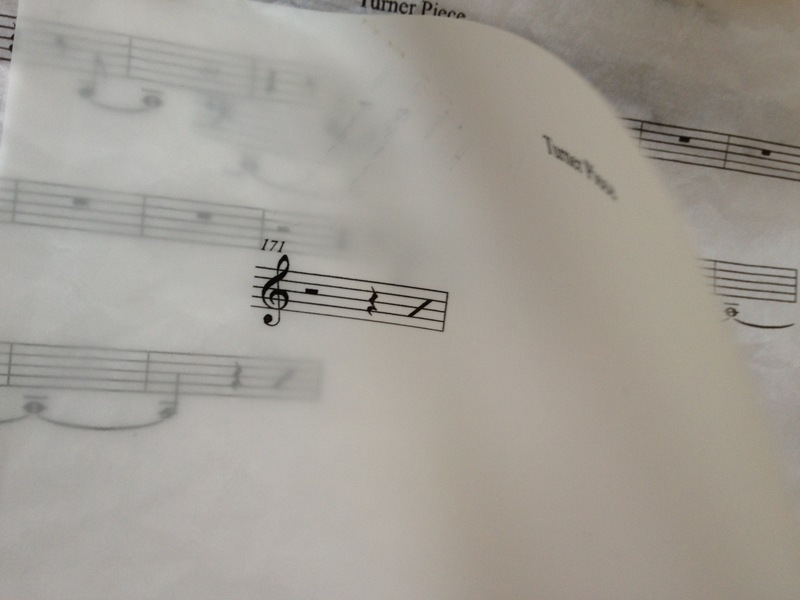 The first movement is called ‘Turner Piece’ using the sound of the paper score sheets, sonically referring to abstract landscape sounds and Impressionistic paintings by Turner. 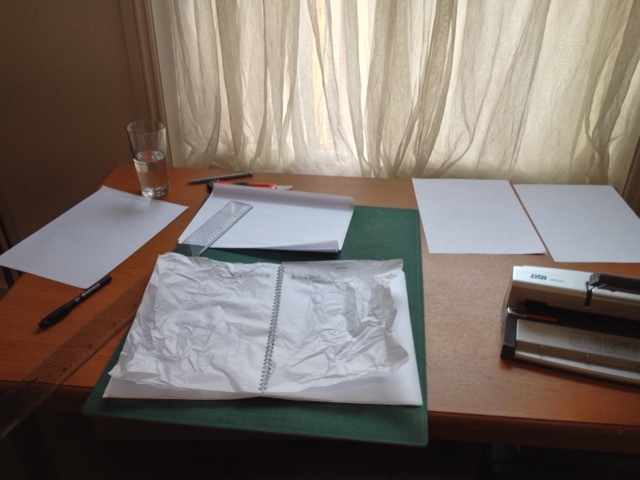 Just now I finished the sketch for a next movement called ‘Metro’ – about the underground newspaper. This is what inspired me in the first place. One time I was sitting in a crowded carriage, no one uttered a single vowel or cough. All you could hear was the rhythm of the train and the rustling of the free newspaper. I was mesmerised. Oh glory! Ha! 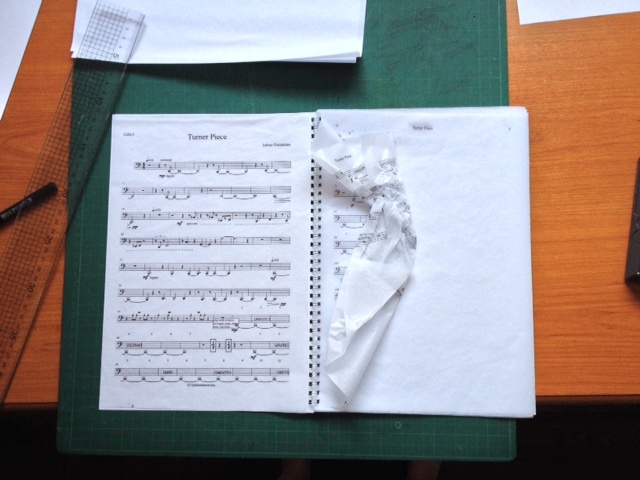 I was wondering how to print a score on delicate tissue paper, as relatively thin newspaper paper still seems to be a bit too heavy for the sound that I’m after…. the answer came through the letterbox in the shape of a (new) phonebook, today. Put straight into good use. via Facebook: “So, Anton, this is what we are going to do, right? Lore fits in nicely, too, a whole building to herself… (Although there is one person on this very wishful wishlist I haven’t asked yet…)” — with Anton Lukoszevieze.